What's your stance on Syrian refugees? Why has nothing been done about Obama-care? What qualities are you looking for in our next President? 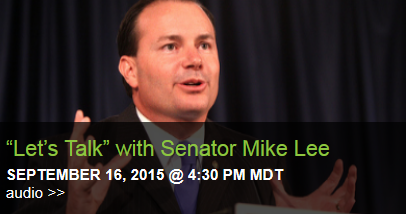 Senator Mike Lee hosted his final telephone townhall of the year. 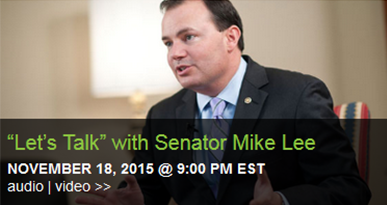 Senator Lee talked about updates in the Senate and the recent hearing with the FBI Director. 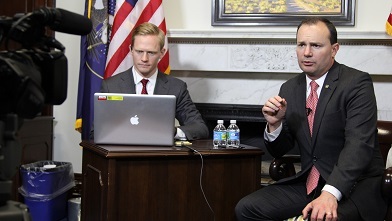 He reflected on the national security threats the Director discussed when fighting terrorists. The Senator spoke about Obamacare, addressed the BLM taking land in Utah, and the national spending issues as regarding the budget. 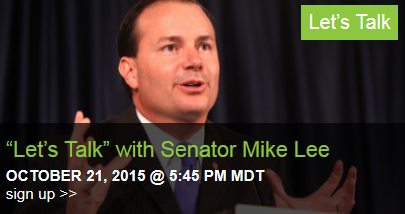 Senator Lee also informed callers of education legislation that was voted on today. Produced by Advantage.